Pesto is pretty much good on anything, but it really adds a nice touch to this dish. Preheat oven to 350 F. Lightly spray a 9x13-inch baking dish. 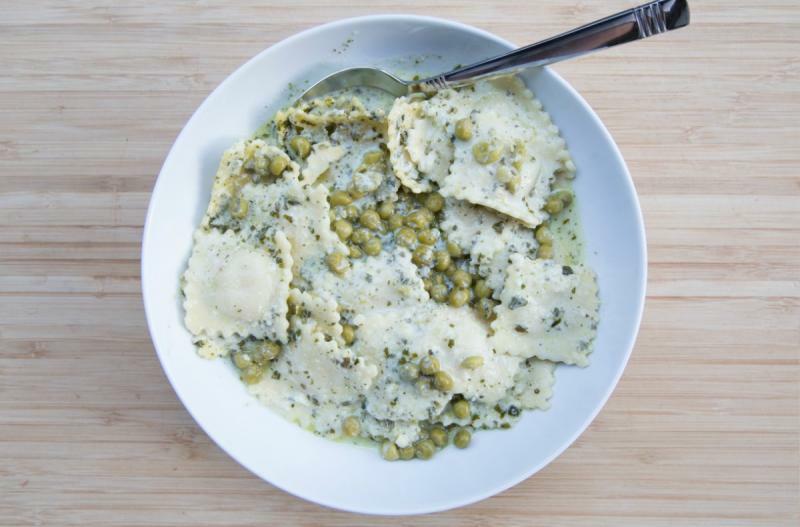 Place the ravioli into the base of the baking dish and toss the frozen peas around the ravioli. In a small mixing bowl, whisk together the pesto, heavy cream, salt and pepper. Pour over the ravioli and cover with foil. Bake in the preheated oven for 25 minutes, then uncover and cook for another 5 to 10 minutes, or until ravioli in the middle is softened. Chop the basil for the garnish. 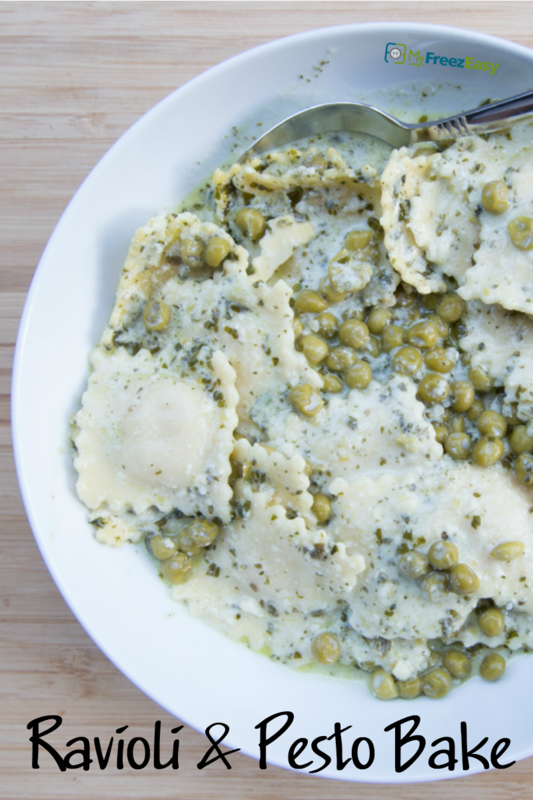 Serve Ravioli Bake topped with fresh basil and shaved Parmesan cheese garnish and side salad. Do NOT add the heavy cream to the tray. Put tray in the freezer and freeze up to 6 months in fridge freezer or 12 months in a deep freezer. Thaw in the fridge overnight, or a warm bowl of water for about 20 minutes. Remove the foil or lid and stir in the heavy cream to combine with the pesto sauce. Cover with foil and bake for 25 minutes, then uncover and bake 5 to 10 more minutes, or until ravioli is softened. Remove the foil or lid and stir in the heavy cream to combine with the pesto sauce. Cover and bake for 25 minutes, then uncover and bake 5 to 10 more minutes, or until ravioli is softened.